Armature Works is pleased to announce the Heights Spring Festival. Join us April 20th on the West Lawn, from 10am – 5pm, to celebrate all things Spring. 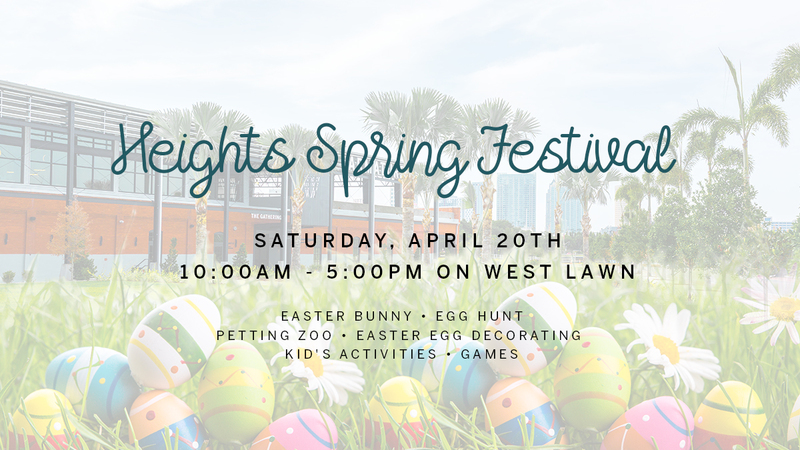 There will be visits from the Easter bunny, an egg hunt, petting zoo, egg decorating, bounces houses and more fun for the whole family. This event is free to attend and open to the public. Schedule of events as follows. Those wishing to participate in the egg hunt please register here.